Whether you need Quarterly, Tri-Annual, Semi-Annual, or just Annual service on your equipment Kentech can provide you with a maintenance program to meet your needs and budget. Kentech provides maintenance and repair of all makes and model of industrial power generation equipment. Kentech can provide other service options along with your maintenance program such as fluid sample analysis for oil, fuel, and coolant. 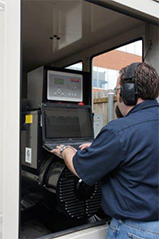 Load bank testing and transfer switch testing is also available to insure complete proper operation of your equipment as well as keeping you in compliance with NFPA or Joint Commission guidelines. Our technicians are trained to perform a thorough inspection during each preventive maintenance routine. 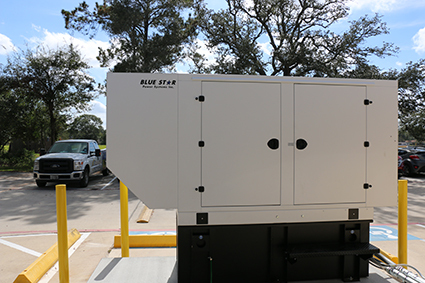 We know reliability is crucial to an emergency power system and a well planned maintenance program performed by well trained technician is the key to giving you piece of mind knowing that your emergency power system will be ready to perform in the event of a power outage. Questions? Call us toll free at 1-800-370-3621 or send us a message now. We’re here to help!